Wolverhampton Tunnel (also called Broad Street Tunnel). Almost a long bridge, this is Wolverhampton Tunnel which provides no restriction to navigation as two boats can pass just as easily in the tunnel as outside. 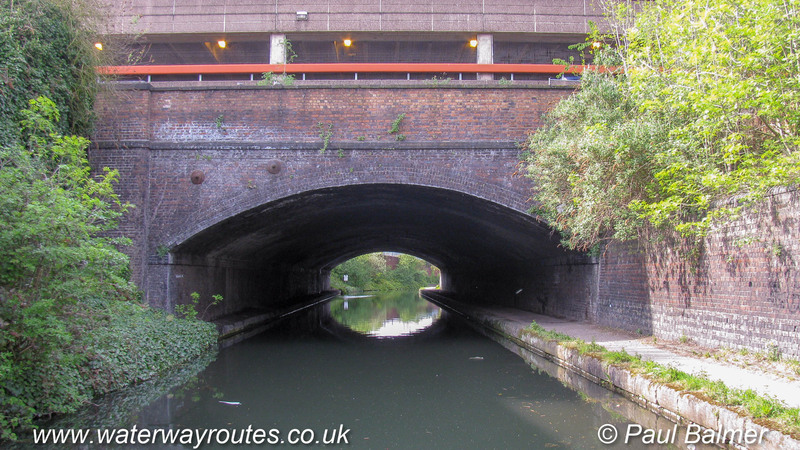 It is sometimes known as Broad Street Tunnel, but be careful not to confuse it with the real Broad Street Tunnel on the Birmingham Canal Navigations (BCN) which is in Birmingham.